Everywhere you look there’s something to read about Cannabis Sativa, Cannabidiol (CBD), tetrahydrocannabinol (THC), and hemp. We’ve been using hemp seed oil as one of our core ingredients since the beginning of OY-L. We use this unique ingredient because it contains some of the highest levels (76%) of Essential Fatty Acids (EFA), including linoleic acid (LA), gamma-linoleic acid (GLA), and alpha-linoleic acid (LNA). These acids are called Essential Fatty Acids for a reason – we need them! They are essential in skin care and mimic the skin’s natural oil barrier, which is critical in keeping the skin hydrated, plump, and young. Hemp Seed oil is also one of the driest oils, meaning it absorbs into the skin quickly and is non-comedogenic (meaning it will not clog pores or cause pimples). The EFA in hemp seed oil helps with inflammation caused by acne, eczema, and many more skin ailments. In addition to hemp seed oil, we also use hemp seed butter. This butter is created by blending hemp seed oil with hydrogenated vegetable oil to produce a butter that is exceptionally rich in fatty acids such as LA, GLA, and LNA. Some people may be concerned with hydrogenation of oils, but the Environmental Working Group (EWG) ranks it as a 1 in terms of safety. The hemp seed oil can penetrate deep into the skin but the hydrogenated molecules are too big to pass through. The hydrogenation is used to thicken the ingredient and for emollient properties. We use hemp seed oil in our Crystal Eye Serum, Face Cream, Face Wash, Exfoliating Manuka Mask, Body Butter, and Body Scrub. Many customers are of course aware that hemp is a Cannabis plant, related to those from which marijuana leaves are harvested. Thus it is a natural question whether our hemp seed oil contains mind-altering compounds such as tetrahydrocannabinol (THC), one of the psychoactive chemicals found in marijuana. The short answer is no – it does not. Our consultant physician, Dr. Cynthia Koelker, explains why this is true. Please read on to better understand the source of this natural oil. Hemp seed oil is harvested from a variety of the hemp plant that contains very little THC. Additionally, the seeds themselves do NOT contain THC. Just as some apples contain a lot of sugar (such as Gala or Fuji) and others much less (such as Granny Smith), certain varieties of hemp contain more or less THC. Similarly, whereas we are happy to eat the nutritious portion of certain plants (such as rhubarb stalks), we likewise avoid the parts that are poisonous (such as rhubarb leaves, which may damage the kidneys). 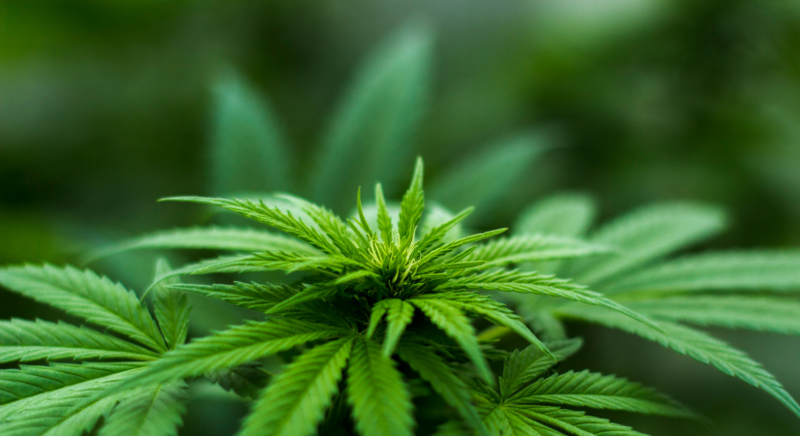 Additionally, many suppliers of hemp seed oil, including Oy-l’s supplier, analyze representative lots of their product to assure the amount of THC in each lot is either undetectable or exceedingly low (less than 10 parts per million). A manufacturer’s Certificate of Analysis is available from the supplier. 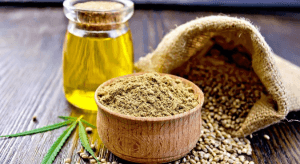 Neither is hemp seed oil the same as CBD oil (cannabidiol oil), a second oil derived from the true marijuana plant, but which, however, does NOT contain THC in its pure form. CBD oil may be helpful for preventing certain types of seizures, but is still under investigation regarding other possible health benefits. Next, does hemp seed oil exhibit beneficial effects on the skin? Traditionally hemp seed oil has been used to treat dry skin as well as skin diseases characterized by itching and discomfort, such as eczema, seborrheic dermatitis, cradle cap, psoriasis, lichen planus, as well as acne rosacea. Hemp seed oil is known to contain both lipids and essential fatty acids that are vital to maintaining healthy human skin. 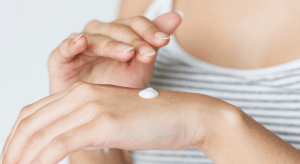 Dry, cracked skin interferes with our skin’s natural resistance to infection and disease, and often leads to itching, flaking, or irritation. Hemp seed oil helps to preserve the skin’s natural moisture barrier, thus keeping the skin from over-drying, with its resultant problems. Additionally, regular use of products containing the oil may help to improve the texture of the skin, which lends to a smoother, and possibly younger appearance. In summary, using skin care products containing hemp seed oil is considered safe, and offers a host of potential benefits. One final unique property of hemp seed oil over other cosmetic oils is the wonderfully creamy texture it imparts to our body butter and related products. Try it yourself and let us know what you think!